Lady Gaga isn’t the only celebrity speaking out about her battle with chronic pain and illness. Pop star Avril Lavigne has released a new album called “Head Above Water” that was inspired by her battle with Lyme disease -- a bacterial infection usually spread by ticks that can lead to severe pain and chronic fatigue if it’s not treated and diagnosed early. That’s what happened to Lavigne, who thought she just had the flu when she started having symptoms in 2014. It took several months for her to get a correct diagnosis. “I was seeing every specialist, literally the top doctors, and they would pull up their computer and (say) ‘Chronic fatigue syndrome’ or “Why don’t you try to get out of bed Avril and just go play the piano? 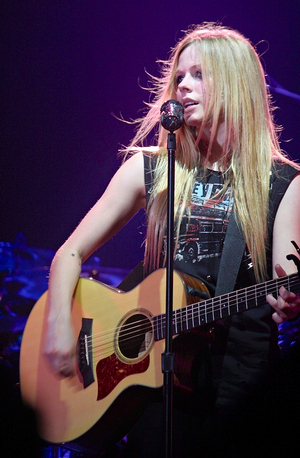 Are you depressed?’” Lavigne said in an emotional interview on Good Morning America. The 33-year old singer eventually found a Lyme specialist who diagnosed her correctly. By then she was bedridden.